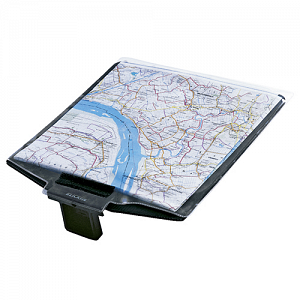 Lightweight, full-size map holder for every common map format. Its horizontal position minimizes the impact of wind. The removable, transparent hood protects the map from dirt and rain. Sunny automatically locks into the handlebar adapter. The transparent hood is also available as a spare part.